Is Bulgaria in the EU? There are many airports in Bulgaria, and among them there are 4 international ones: Sofia, Burgas, Varna and Plovdiv airport. Bulgaria airports currently have direct flights serving about 400 different destinations, and apart from regular flights, they're also serving charter flights and helicopters. In this article you will find useful travel information about Bulgaria's main airports, including details of facilities and transport options from Bulgaria airports. The biggest among Bulgaria airports and the main place of entry to the country, located 10 km from Sofia city centre. Sofia Airport has 2 terminals and offers a variety of services: car rental, bank offices, ATM's, currency exchange, post office, insurance services, VAT refund, baggage wrapping, prayer-meditation room and parking. While waiting for your flight at Sofia Airport, you can also enjoy last minute souvenir shopping in a wide selection of shops, and perhaps grab a snack and drink in a cafeteria, and relax in one of several comfy lounge areas. Metro - fast and cheap way to Sofia and Sofia Business Park! The metro station at Sofia Airport (Line 1) is situated next to Terminal 2. A single ticket costs only 1.60 lev (0.8 euro) and is valid for all the metro lines. You can buy a ticket at the metro station from a ticket machine or a cashier (in Bulgarian currency). The metro runs from 5.30 a.m. till midnight all year around, and the journey to the city center takes about 18 minutes. To get to the Sofia Central Bus Station and the nearest Train Station remember to change at Serdika Metro Station to Line 2. 01Line 84 (Sofia Airport - Sofia Centre) - runs from 5 a.m. till around midnight during weekdays (until about 11 p.m. on weekends/holidays); it takes 30-40 minutes to reach Sofia center. If you want to do some sightseeing or change to metro or different buses, remember to get out at the bus stop by the Sofia University (bulg. Софийски университет). 02Line 384 (Sofia Airport - Druzhba Metro Station) - runs from about 6 a.m. till about 11 p.m. Bus tickets can be purchased (only in Bulgarian currency) from the kiosks at Terminal 1 and 2 or from the ticket machine in the Arrivals at Terminal 1. More information about the bus routes: http://www.sofia-airport.bg/en/passengers/and-airport/public-transport. 03Taxis are in front of the west exit from Terminal 1 and 2. Taxi services at Sofia Airport are provided by 'OK Supertrans'. Their office is located at the Arrivals in Terminal 1 and 2, and you can book your taxi there, or just catch it in front of terminals. Also, our partner 'Transfer Bulgaria', provides safe and reliable transfers anywhere in Bulgaria. Contact details: Taxi 'OK Supertrans'; tel. (+359 2) 973 21 21; http://www.oktaxi.net or Transfer Bulgaria; tel. +359 878 858 974, +44 20 8144 0801. 04Car rental offices at Sofia Airport are situated in the Arrivals (Terminal 1 and 2), past customs control. However, most providers have offices at the Terminal 2. Location: Longitude: 23° 24' 0'' E; Latitude: 42° 42' 0'' N.
Second largest among Bulgaria airports, situated about 10 km away from Burgas city centre. Burgas Airport serves southern Bulgarian Black Sea coast with its seaside resorts (e.g. Sunny Beach or Nesebar), and 4th largest city in Bulgaria - Burgas. There is one active Terminal 2 at Burgas airport and a variety of services to make your flight experience pleasant: duty-free shopping, cafeterias, snack bars, currency exchange, bank, first-aid and medical care, travel agency, parking and comfy VIP lounge. Burgas Airport also serves the needs of youngest travelers and their parents, as there is a special 'Mother and Care' area and 'Kids' Area' with open-air playground situated after security check. 01A bus stop at Burgas Airport is located right in front of the Departures Terminal. Hop on the bus line 15 to get to Burgas centre and central bus station. From Burgas bus station you can catch a bus to Sunny Beach and various seaside resorts: Sozopol, Tsarevo, Kiten, Pomorie, Aheloy, Ravda, Nessebar, Varna, and other resorts south or north of Burgas. Ticket cost: 1 - 14 leva (depending on the distance e.g. to Varna - 14 leva). 02You can catch a taxi right in front of the Arrivals Terminal at Burgas Airport. There are many taxi providers at the airport, but 'Eko Taxi' is the official taxi provider at Burgas Airport. They have an office at the airport open 24/7, and you can book your taxi there or online. Also, our partner 'Transfer Bulgaria', provides safe and reliable transfers anywhere in Bulgaria. Contact details: 'Eko Taxi'; tel. +359 56 872 777; http://www.ekotaxiburgas.com/transfers-burgas-airport. Transfer Bulgaria; tel. +359 878 858 974, +44 20 8144 0801. The market price for taxi services are similar, e.g. service from Burgas Airport to Sunny Beach will cost you 60 BGN (and 50 BGN back to the airport). If you use different taxi provider than 'Eko Taxi', make sure it has a license, and a working meter indicating the price. 03At Burgas Airport you can rent a car from a variety of providers: National, Enterprise, Europcar, Top Rent a Car, Sixt, Hertz, Avis, Easy Rent, Budget. All of them have their offices at the Arrivals Terminal. Location: Longitude: 27° 30' 54'' E; Latitude: 42° 34' 10'' N.
Third largest among Bulgaria airports, situated 10 km from the centre of Varna - sea capital of Bulgaria and the third largest city in the country. Varna Airport is a popular destination during the summer season, and apart from Varna, it also serves north-eastern Bulgaria. There are 2 active terminals at Varna Airport, offering a variety of services: banking, currency exchange, ticket/travel agency, VIP services, car rental, baggage wrapping, first aid facility, 'Mother and Care' room and parking. While waiting for your flight at Varna Airport, you can also enjoy some duty-free shopping and have a drink or a bite in one of the cafeterias, or a bar with a large outdoor terrace where you can enjoy some fresh air before your take-off. 01The bus stop at Varna Airport is situated in front of Terminal 2. Bus nr 409 will take you to Golden Sands resort and Varna Bus Station - here, you can catch buses to other resorts and cities. Departures: every 15 minutes. Ticket can be bought on the bus and it costs 1 - 3 leva (depending on the distance). Travel time to Varna centre is about 20 minutes and to Golden Sands 50 minutes. Bus transport within the city is available from 5:45 to 23:00, every 15 minutes and tickets can be purchased on the bus. Bus nr 8 - route: Resort St. Constantine and Helena - Marek - Evksinograd - Stambolijski - Trakata - Studentska - Pochivka - Sveti Nikola - Delfinarium - Akaciite - Sportna zala - Akademiyata - Sevastopol (Municipality Varna) - Varna center (Cathedral) and back the same way. Departure: every 40 minutes. Price: 1.60 leva. Buses to resorts and cities in southern Bulgaria: to Byala, Obzor, Sunny Beach, Nessebar, Pomorie, Burgas are available from 6:30 am, every 30 minutes. 02The official taxi provider at Varna Airport is 'OK Trans Taxi', available 24/7, with their office at the Arrivals in Terminal 2. You can book your taxi there, at the taxi rank or in advance over the phone or internet. Contact details: 'OK Trans Taxi'; tel. +359 886 388 388; http://en.oktaxivarna.com. Also, our partner "Transfer Bulgaria", provides safe and reliable transfers anywhere in Bulgaria. Contact details: 'Transfer Bulgaria' tel. +359 878 858 974, +44 20 8144 0801. Trips from Varna Airport to the city centre take about 20 minutes and will cost you between 7 - 15 leva, depending on the taxi provider. When using different taxi providers ensure that they have a working meter or agree on a price with the driver before departure. 03At Varna Airport following car rental providers have their offices at the Arrivals: Avis, Budget, Europcar, Top Rent a Car, Sixt, Hertz. Thrifty and Choice Rent a Car. Despite many providers, booking car in advance during the busy summer season is advisable. 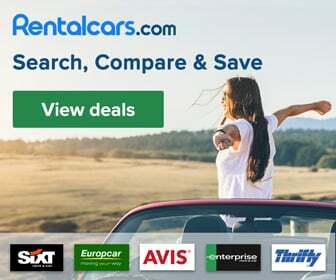 Precautions required for car-rental companies which require very small pre-payment fees: when they get overbooked, there is a chance that they won't live up to the contract. Location: Longitude: 27° 49' 32'' E; Latitude: 43° 13' 57'' N.
Fourth busiest Bulgarian airport, situated 12 km from Plovdiv - called the oldest city in Europe and it's the second biggest city in Bulgaria. In fact, Plovdiv is also the cultural capital of Bulgaria. Plovdiv Airport is also often called as Plovdiv Krumovo Airport, after a small nearby village. Due to its convenient location, nested nearby famous Bulgarian ski resorts of Bansko, Pamporovo, and Borovets, Plovdiv Airport is primarily active during the winter months, serving charter flights. Facilities at the Plovdiv airport include baggage wrapping, Orthodox chapel, ATM, free Wi-Fi, small duty-free shop, cafés, baby changing rooms, PRM assistants, business lounge and parking. Location: Longitude: 24° 51' 2'' E; Latitude: 42° 4' 4'' N.
© 2019 Złota Bułgaria. All rights reserved.